We offer personalized private trips tailored to the needs and wishes of every individual traveler. Whether you want to combine an exotic beach holiday with a visit to the most beautiful wildlife parks in Tanzania or rather climb the Kilimanjaro, it is all possible. Our trips are also very suitable for families with children. We are known for our personal service, attention and high quality. We won the TripAdvisor Certificate of Excellence in 2016 because of the excellent reviews from our guests. Read the reviews on TripAdvisor. We are located in Arusha, the safari heart of Tanzania. All employees of the Ajabu Adventures team live in Tanzania and most of them have grown up here. Therefore we know the country and the culture like no other and we can show you the most special places. Our special 4WD safari cars are designed with extra large windows, a pop-up roof and lots of legroom, so you can fully enjoy your safari. Furthermore, our cars have air conditioning, fridge, charging facilities and a beanbag. The cars are ideal for film and photo safaris. Our Tanzanian private guides are among the most experienced, well-trained guides in Tanzania and speak fluently English. From the moment of arrival to departure, your guide will be at your disposal. With passion he will take you on a unique journey through the culture, nature and the animal kingdom of Tanzania. 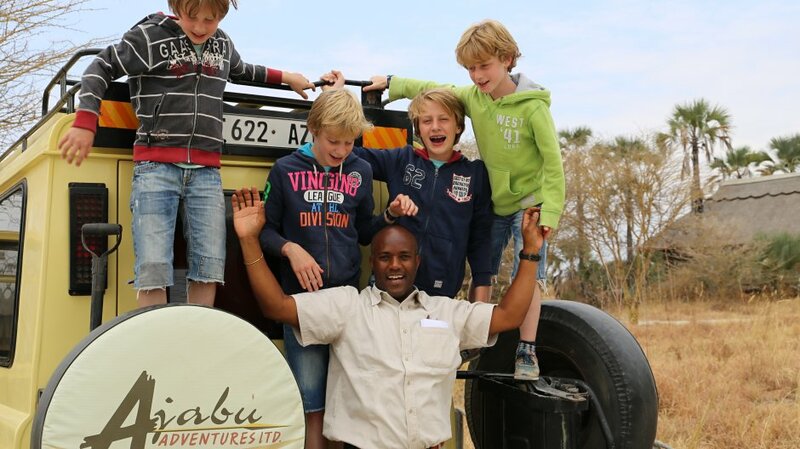 Anyone traveling with Ajabu Adventures will truly experience, experience and feel Tanzania! Enquire now for a private safari to discover Tanzania YOUR way!